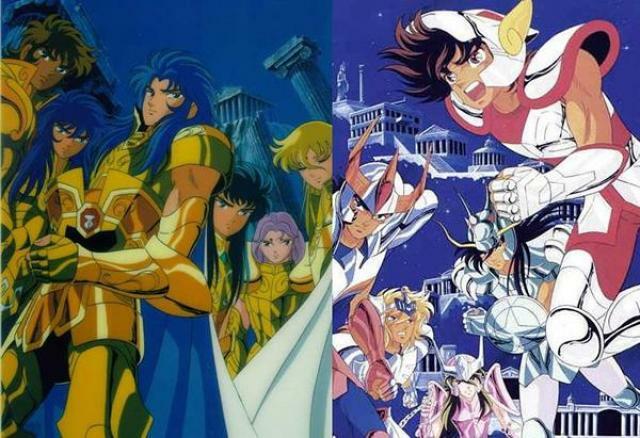 Saint Seiya or Knights of the Zodiac has a long story but it can be a bit daunting for those who are not familiar with the history of the franchise so here we are going to take a look at all the different anime, OVA, specials and whatnot that the series has had, as well as take a look at the timeline and continuity of the different shows and how they connect to each other. 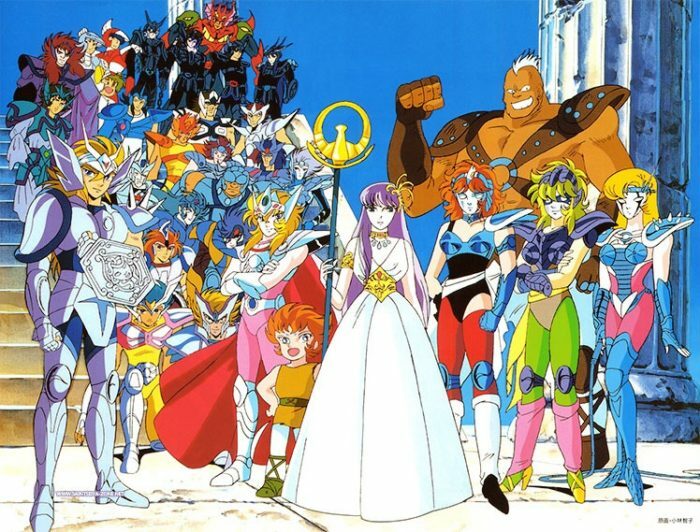 It’s one of those shows that was huge in Europe and Latin America in the early 90s but didn’t arrive until the 2000s to the United States and it was a bit late for an 80s anime to shine and now Netflix is trying again because this show was as big if not bigger than Dragon Ball Z at the time for a little context and to understand the mark that it had on generations of fan; And the reason why they have kept trying to bring this franchise to the west since it’s proven to connect with the audience. There’ll be a brief synopsis and review of each of the shows and arcs as well to get a better understanding. I’m going to be going through the saga in chronological order that the shows/movies were released for the most part to help avoid confusion since it’s the easiest way to explain. 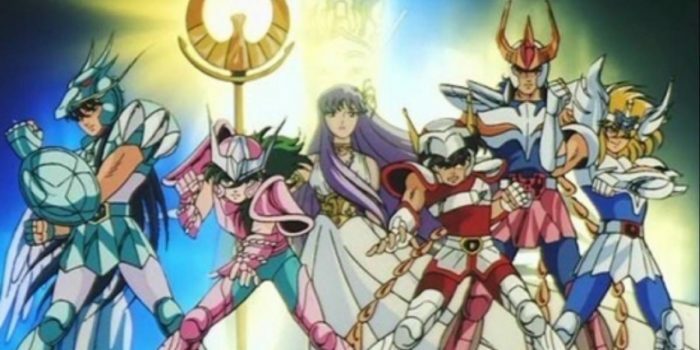 The original anime based on the manga Saint Seiya started in 1986 and ended in 1989 but it made its impact around the world in the early 90s and a failed attempt to bring it to the United States in 2003 with two separate dubs. While it may look a bit outdated it also has that great 80s anime feel and it’s Shonen style shines through out it. The music is amazing and most of the dubs like the Mexican Spanish one are praised for being great and overall the entire anime is held in very high regard. The show had 114 episodes divided in 2 (or 3 depending on who you ask) storylines. This is the main storyline of the series that deals with the Saints and their quest to save Athena and it lasted 73 episodes divided in different arcs which we will go through. The basic premise is that kids train to become saints and get their cloths (armor) which gives them great power, they use their cosmos to get their cloths and to fight with extraordinary powers. Even though it’s set in the present time the show basically tells you that greek mythology is not only real but still as relevant as it’s always been. The arcs sometimes have different names and are divided differently among fans but I chose to use the Wikipedia list since it’s the one most people might run into. The synopsis will be spoiler free so feel free so no worries on anything big being spoiled. This is a tournament to see who will win the Gold Cloth which is the most powerful cloth a Saint/Knight can have. These episodes play in an arena sort of like UFC or Wrestling matches fully televised and it’s how we meet our main characters as well as other bronze knights who are all there competing. After the tournament the Saints who will become the heroes go for the stolen Gold Cloth and in search for the Black Saints who are basically evil versions of them that look exactly the same and have their same Cloths/Armors but in black. They’re leader is the evil Bronze Knight Phoenix Ikki who wants the gold cloth for himself. We learn that Pope Ares who is the leader of the Sanctuary is evil and was the one who wanted the gold cloth for himself and the one responsible for the previous arc. We learn that Athena lives and the Bronze saints must protect her while the Pope indicates that this is blasphemy and the real Athena is in the Sanctuary. We now get a few mostly anime exclusive episodes where they battle different Saints sent by the Pope to get the remaining pieces of the gold cloth . After some defeats the Pope learns these aren’t ordinary adversaries so he starts sending Silver Saints who are more powerful than the Bronze Saints and outrank them. Some people just consider the previous arc part of the Silver Saints saga since it’s sort of more of the same but here it’s being divided a bit more. 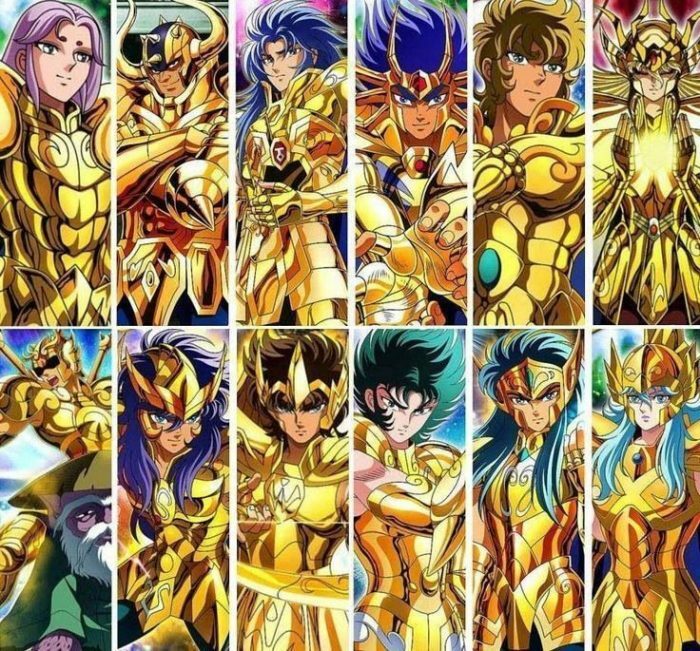 This is really part of the same previous arc but we start to find out that not only are there saints for different constellations but also for each of the 12 Zodiac Signs and those 12 are gold saints the fastest most powerful ones, the gold cloth they had been fighting for this whole time was of Sagittarius and only one of 12. Also for no reason starting here we get a re-design for the Sagittarious armor for no apparent reason. We finally reach the main dish of the anime which is going through the 12 Temples of the Gold Saints with some epic storylines that are more dramatic than your average soap opera. It’s easily some of the best in the series and even though it’s a lot of episodes it’s worth it. Overall the whole saga is a bit long especially with so many anime only filler episodes but in my opinion they help establish the background and characters of the different saints and raises the stakes slowly making each new enemy not just fodder but interesting and building up the final arc like no other which if you rushed through the beginning straight into the Zodiac temples it just wouldn’t feel the same. We now get to see that Poseidon a real god is being woken up and it’s up to the Saints to stop him from flooding the earth, he isn’t a mortal like all their previous enemies. Remember when I mentioned all the filler episodes helped build up the big bad in the Sanctuary arc? Well this is the problem with this arc, it’s just so quick that it’s by the numbers, the saints do the stuff that they do like go through their moves and try to finish their quest. That doesn’t mean there isn’t good stuff here but there is no big build up to each of the enemies or their journey and it suffers, the ending also feels somewhat anti-climatic counting this was basically the ending of the show for many years. Asgard worked because there were less characters and their story was different enough to able to be told quicker without a problem, in hindsight giving the Asgard episodes for a longer poseidon arc might’ve been the better decision to make it a better adaptation but I’m glad we got Asgard. Now let’s go through the movies, though only two of them are feature length and the others are only 40 minutes. Like DBZ movies they take a moment in the anime and make a story which causes some continuity errors but they aren’t as big as DBZs so they can actually be fit into the timeline with some smaller retcons / headcanon. I won’t go into details here since it would involve spoilers but I’d say the biggest problems would be that the cloths/armors are basically destroyed in every movie. 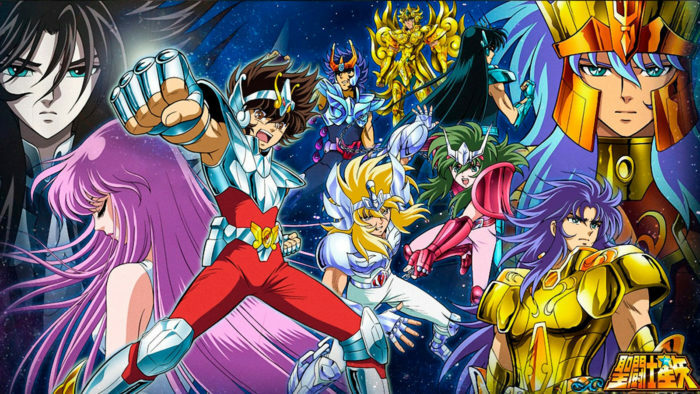 Many of the movies are just the most basic things Saint Seiya is known for and they go through the numbers of what they do so some people dislike them for being repetitive but some of them are great and have their charm. The first movie deals with a Goddess who wants to re-incarnate and must be stopped, since she never becomes a full god the movie can fit in for the most part. The movie deals with silver saints as well and would basically take place right after or during the Silver Saints arc. As far as the actual movie it’s one of the weakest. This one is by far my favorite and it’s what inspired the Asgard filler arc in the anime since this movie takes place in Asgard and Norse mythology. The success of the movie as well as the reception lead to it getting adapted in a different way in the main anime but the stories are very different, the biggest contradiction here is that basically they go to Asgard for the first time twice. The Asgard Knights here are not as developed but it’s still gets a lot done in basically the length of two episodes. This film would need to take place either right before/after the 12 Temples arc which is also tough to place because of how tight the timeline is during that part of the anime. This is actually a full length film and it’s very different from the others as it has a higher budget and the extra time does help it develop the adversaries more. Here we see the attack of a real god, and unlike Eris and Poseidon he is here with his full power and not in a different state that allowed the others to be defeated. The stakes do feel raised here and it makes the whole movie a great watch. This movie movie could fit anywhere after the 12 saints arc whether before Asgard or after but it just makes sense for it to go after the Poseidon arc. 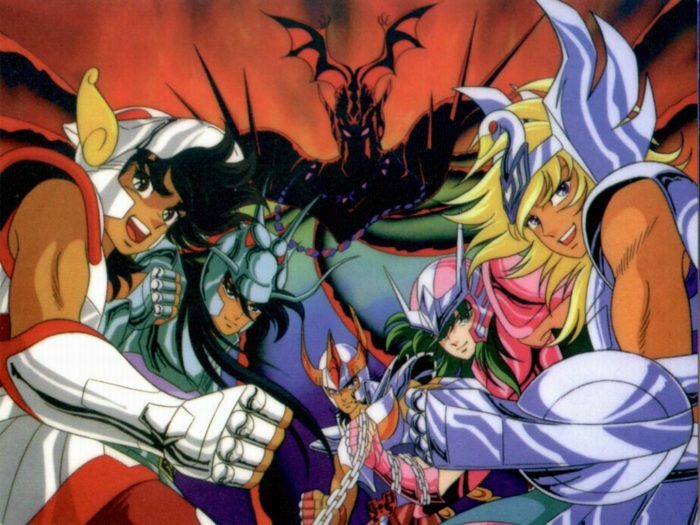 The final movie of the classic era gives us a different enemy, the Hades arc was cancelled for the actual anime but they were able to make a final movie against a similar character and it was that of Lucifer, yes Satan himself must be fought by the saints of greek mythology. Just because of that the stakes already feel raised, you also see Lucifer commanding the 3 previous gods that they fought (Eris, Abel, Poseidon) and the surviving gold saints killed which causes a continuity error. Sadly the movie isn’t that great as the fallen angels aren’t compelling villains and it’s just too short to be able to tell a great story but it did serve as another ending for the show before it was revived. 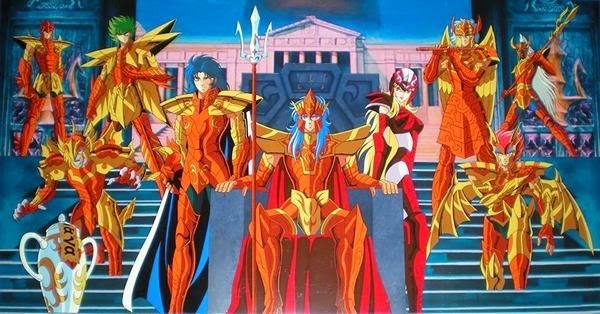 After the revival with the Hades Chapter being a success they decided to make a new movie that took place after the Hades arc which they were still adapting in OVAs and would be canon to the manga as well since finally they were going to tell the Heaven arc that series creator Masami Kurumada never got to tell even in Manga form. 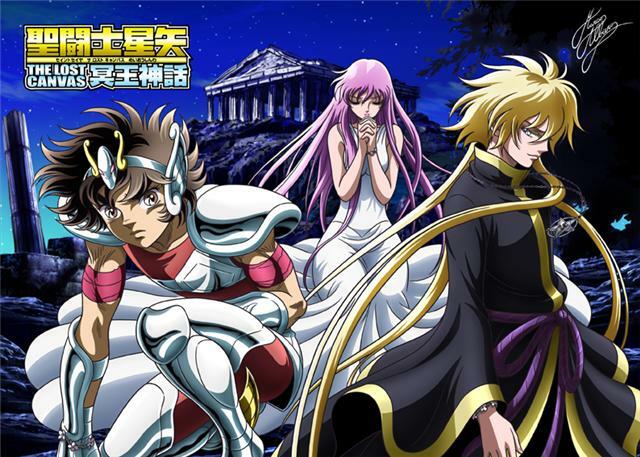 The movie is full length and very different from normal Saint Seiya stuff which put off a lot of fans, others were confused since this was released during the Hades arc adaptation but it takes place after it. It can be seen as a bit pretentious but I thought it did an excellent job in setting up a new saga in a refreshing way, sadly the movie bombed and we didn’t get anything more from it and only the cliffhanger ending. 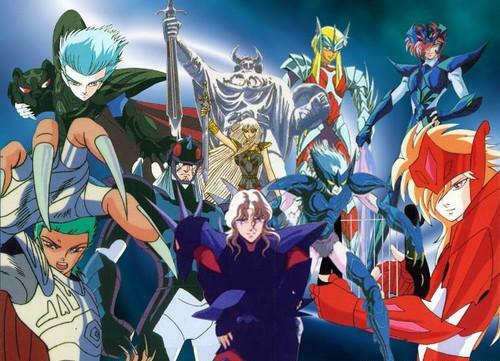 As mentioned we got the final manga saga the Hades arc as OVAs told through 3 different chapters starting in 2002 which lead to a revival of Saint Seiya thanks to the success which revived interest in the brand and the merchandise that followed. 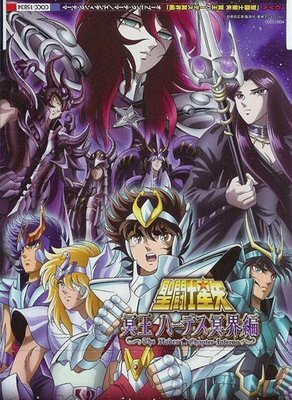 The first saga Sanctuary started coming out in 2002, the second Inferno came out in 2005 after the Heaven Chapter movie and the third and final part Elysium in 2008. So as you can see it took 6 years for the story to be told which kind of hurt both the quality and inertia the franchise had going. It’s worh noting that they tried to bring more manga details into this OVAs which means some small retcons happen that the original series had shown differently but nothing too bad. 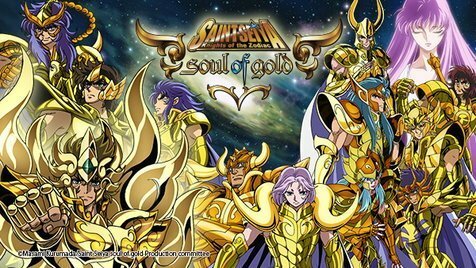 The first 13 episodes deal with the new threat taking place after the Poseidon Saga and deals more with the Gold Saints than the actual Bronze Saints we’ve been following all along. This actually worked wonders since it gave us a different perspective and showed us what a great threat these new enemies were since even the Gold Saints couldn’t take them on. There are a lot of twists and it’s like a mini sanctuary saga from the original series but the roles reversed in a way which is even better and far more rewarding if you saw the original show. Sadly it took us a few years to get the second part of the story divided in two releases with 12 episodes total, here we get our familiar heroes going into Hades world since it’s up to Athena’s saints to save the world every time Hades wants to end humanity. We still get some gold saint action as well. The thing is here things feel a bit rushed like in the Poseidon arc as the new enemies don’t get as much time to establish who they are and while interesting to see where the story continues it doesn’t have the same impact as the first chater in the Hades saga. We had to wait again for the third and final chapter and sadly it’s only 6 episodes this time, the animation was also at its worse, it had already gotten a downgrade the previous chapter so it’s very noticeable now. Same with the storyline being rushed and this time even more, especially since they’re now dealing with various Gods and the fact that they want to end the Holy War once and for all instead of having to do it every other century. It’s still cool to see the final manga arc being adapted in anime form after so many years, just a shame it couldn’t end on a high note like the first arc of the Hades saga. In 2009 and 2011 we got a new series released in two seasons of OVAs based on the Lost Canvas manga which retells the previous Wars against the god Hades as told in the Hades saga. 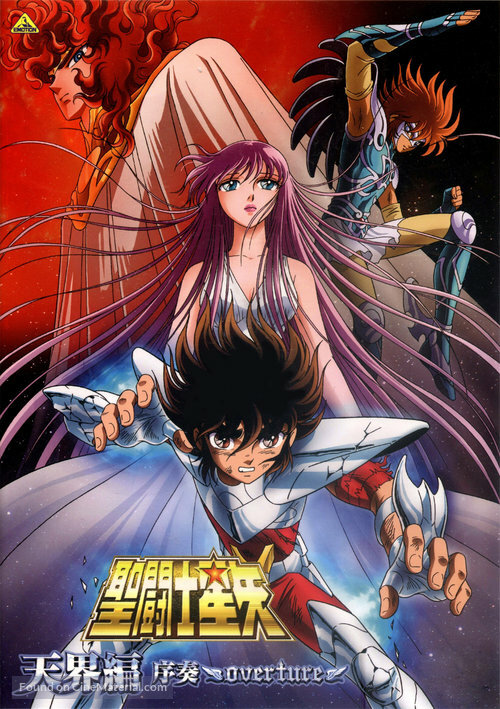 The animation is totally different from the previous anime adaptations and I’m not a big fan but I know it’s well liked by many, especially those who didn’t watch the previous Saint Seiya anime. While it’s the previous Hades fight that’s where the connections end since it’s its own storyline that sadly we never see the ending of but we do know Hades is eventually trapped thanks to this being a prequel that is briefly mentioned in the previous Hades OVAs. They tried to revive the franchise in 2012 with a new anime called Omega bringing in a new generation of saints in a post Hades saga era but also sort of ignoring the Heaven saga movie in the process. Here we get to see the new generation take the mantle of protectors and even get to see what happened to the original saints through out. The first season is more magical type of anime than the classic series and the second season they treaded back to more familiar style of the old anime but it seemed too little too late and it was cancelled. It still had an impressive 97 episode count. I haven’t watched much of it but from what I’ve seen it’s not as bad as fans make it out to be since it does continue the storyline in a neat way not to mention it incorporated some of the anime only stuff from the previous show as well instead of ignoring it. A 13 episode OVA released in 2015 mostly to sell a new line of figures of gold saints but who cares, talk about cool since we get to see what happens to the gold saints during the events of the Hades saga when they disappear and basically they went to Asgard and they have their won filler storyline there. Haven’t watched it either and fans hate it but based on all I’ve seen yeah it seems like they rushed a dumb storyline to shill some new toys but frankly it ticks all the right boxes as it was sort of done to please fans with fanservice even if it doesn’t have the most compelling story. 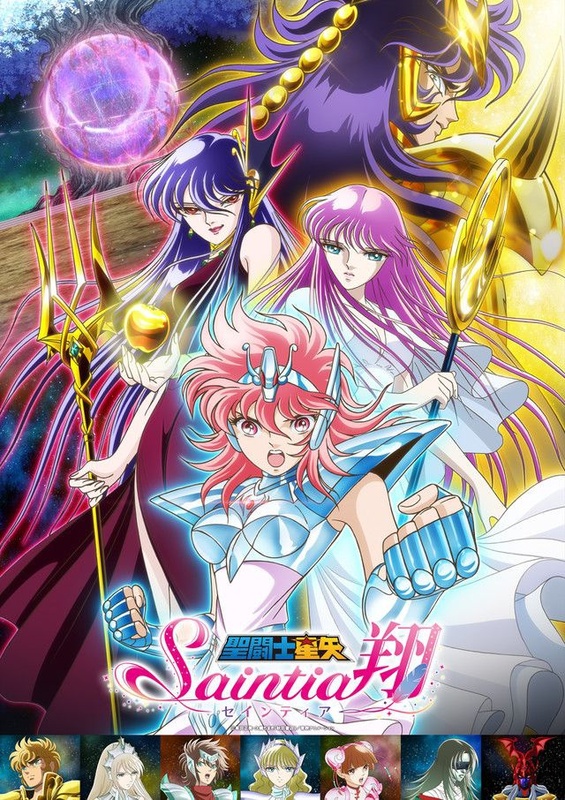 Drawn in the style of the old anime but based on the Saintia Shō manga this 2018 series is still airing and tells the story of a female Pegasus Saint and some other details are a bit different. It’s sort of a retcon/reboots what happened in the original series since it takes place not long before that one starts and it’ll be interesting to see where things go but I think it has potential. 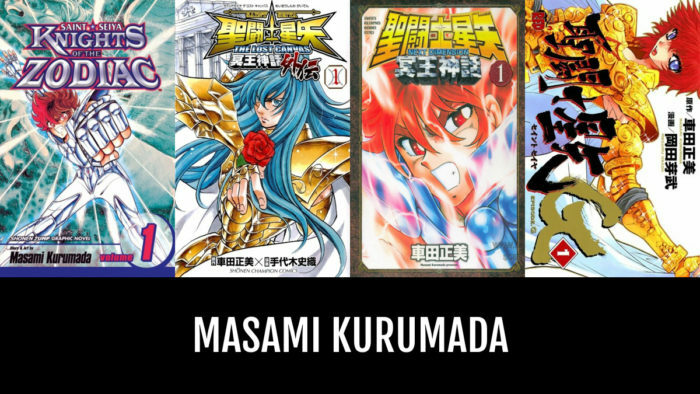 Saint Seiya: Episode G and Saint Seiya: Next Dimension for the moment are only manga so I’ll only briefly mention that Next Dimension is a sequel/prequel to the original manga and written by series creator Masami Kurumada. It tells the story of the previous Holy War with Hades like Lost Canvas and originally they were going to be different perspectives of the same events but that didn’t last long as he went his own way and also made it a sequel series. Episode G is not written by Kurumada but is another prequel taking place 7 years before the original manga and it’s focused on what the Gold Saints were doing at the time. It’s worth noting that there are contradictions with the different works. It’d be great to see either of these adapted one day as anime though. 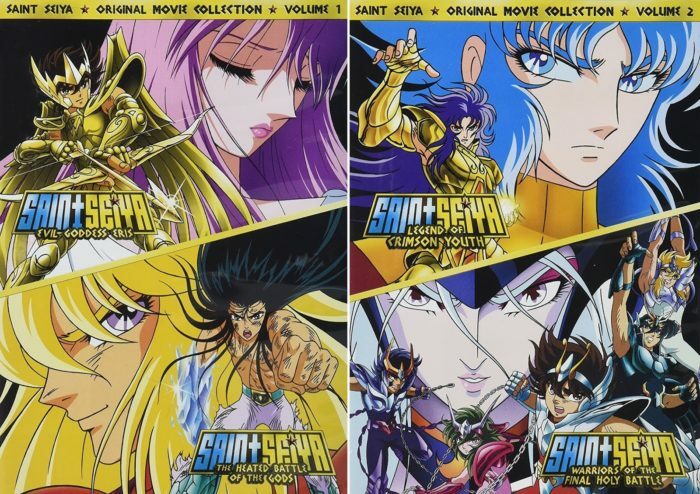 Besides that we also have Saint Seiya Legend of Sanctuary released in 2014 which is a reboot CG movie that failed and never got a sequel and was made to appeal to a western audience, you can read more about that movie here. 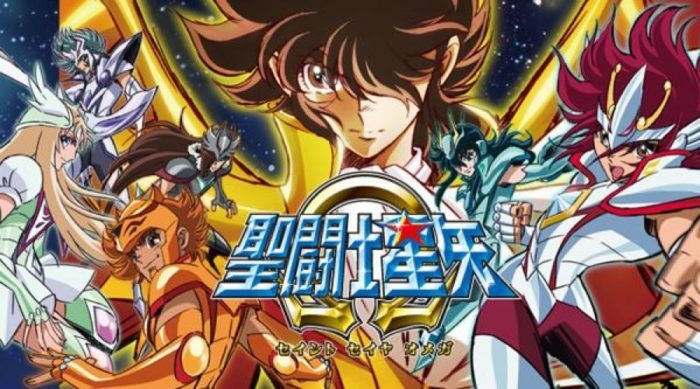 That movie is unrelated to the Saint Seiya: Knights of the Zodiac 2019 Netflix show which is a full reboot as well and will begin with the Sanctuary saga from the galaxian wars arc to the Silver Saints arc and depending on its success how much more we’ll see of that. Like Dragon Ball Z there are also Pachinko machines with original animation that depicts battles or events that we saw in the anime in HD and sometimes even stuff we never saw adapted which is always cool to see. There was also a 90s American Live-Action show that was only a failed pilot like the Sailor Moon reboot and apparently a new live action movie is being made but we don’t know much about that. 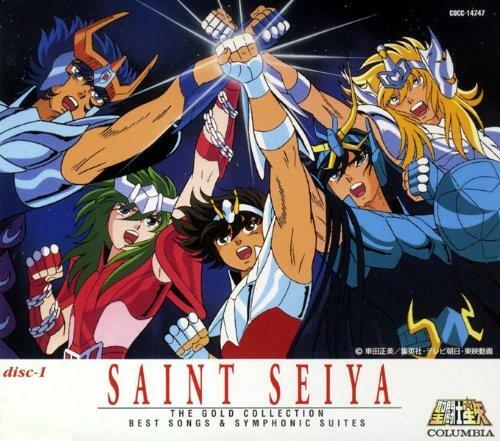 And well that’s the long history of Saint Seiya, a bit of continuity and reviews so I hope it was useful.